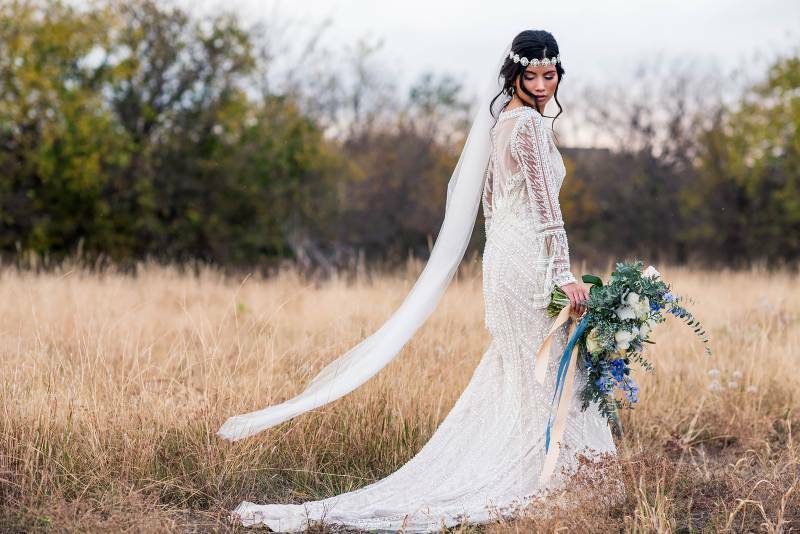 This boho bridal Denton styled shoot is just perfection! 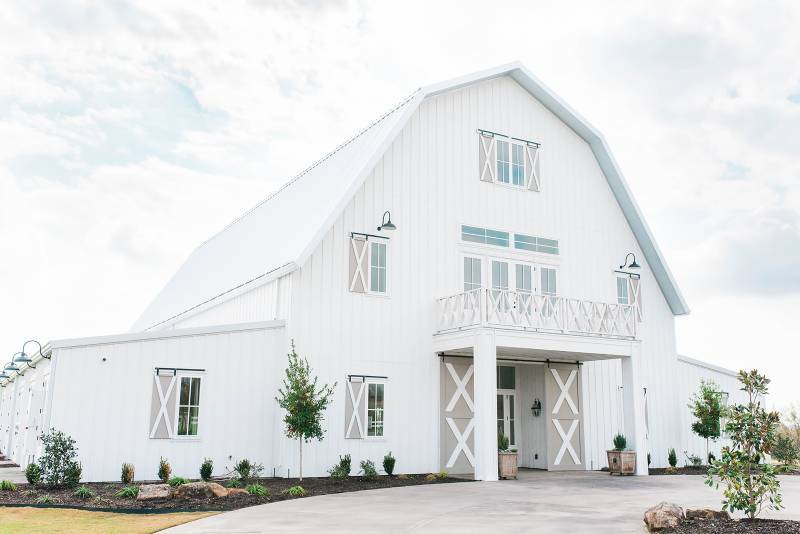 Let's start with the stunningly beautiful venue, The Nest at Ruth Farms, where this shoot was held. 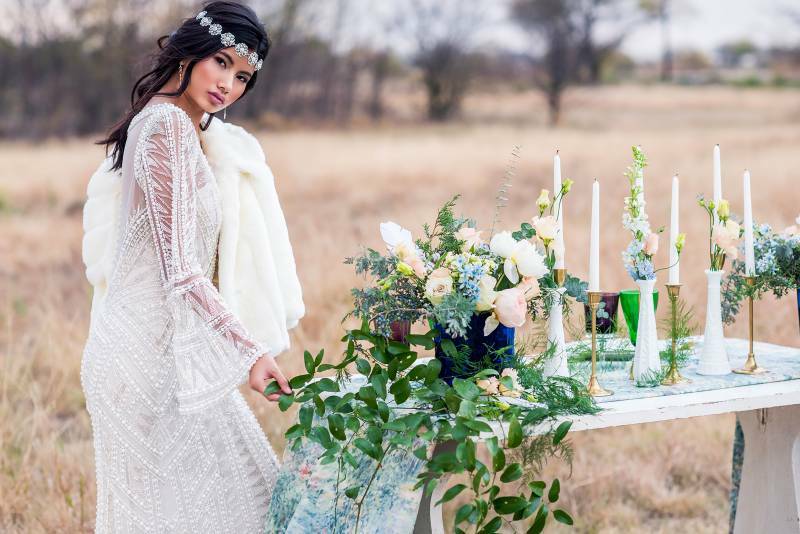 The all white backdrop was the perfect canvass for the blues and greens featured throughout the shoot. Next, let's move on to the "bride" and her stunning lace, bell-sleeved wedding dress. This dress will certainly be the envy of many a bride-to-be as it is both sophisticated and organic all at the same time. 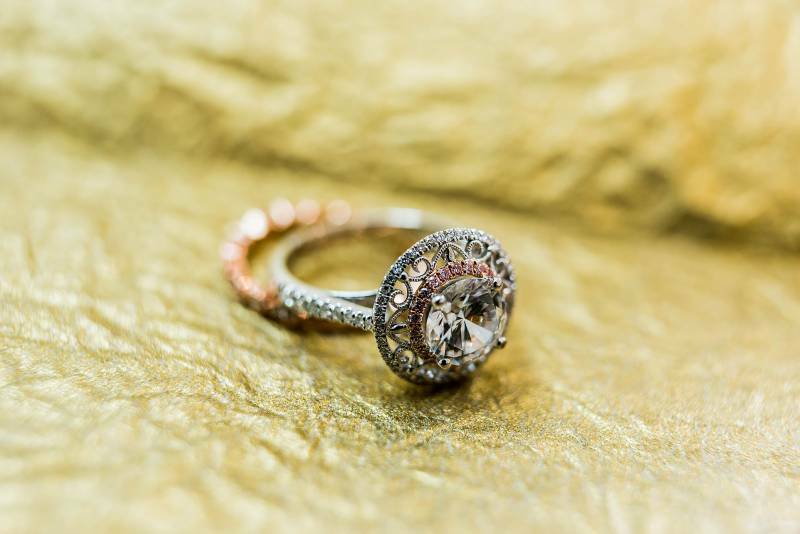 Finally, Harbor Grace Photography was there to capture every boho-chic detail. Hop on over to the gallery to dive into more gorgeousness! 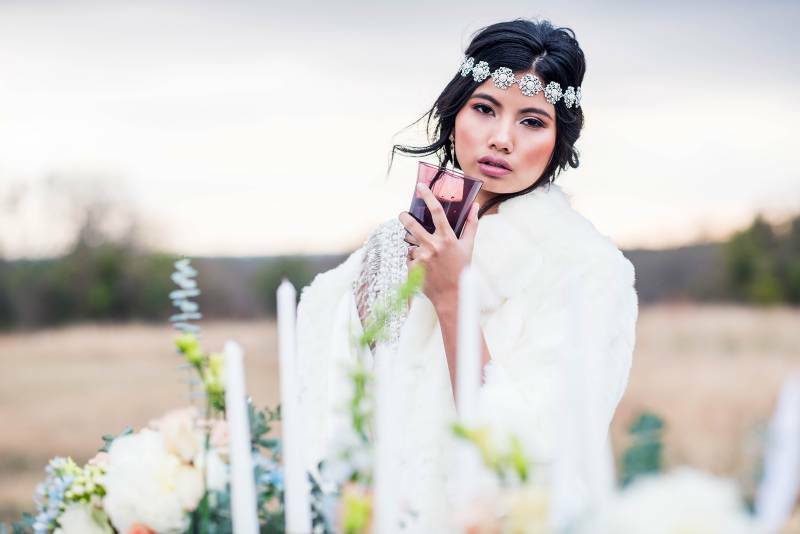 From Harbor Grace Photography...We had a nice intimate, bohemian inspired setup in the fields of The Nest at Ruth Farms in Ponder, TX. 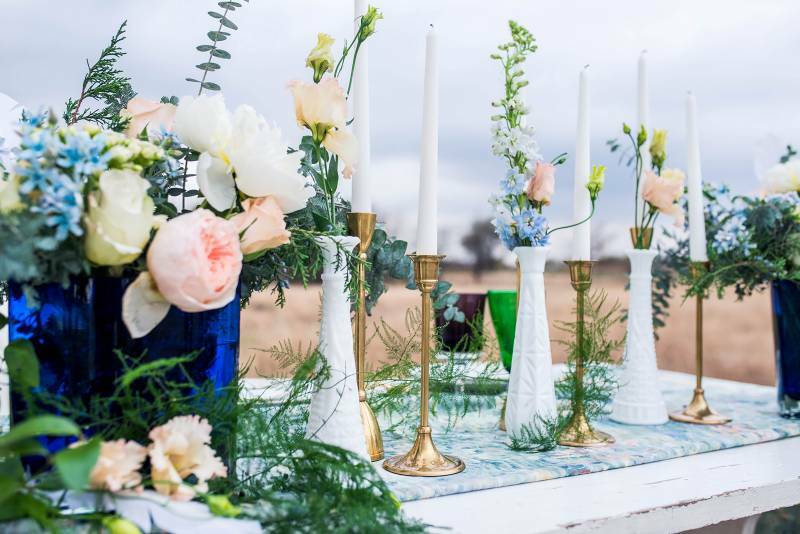 We had beautiful florals with hints of blues and greens and a touch of soft pink. 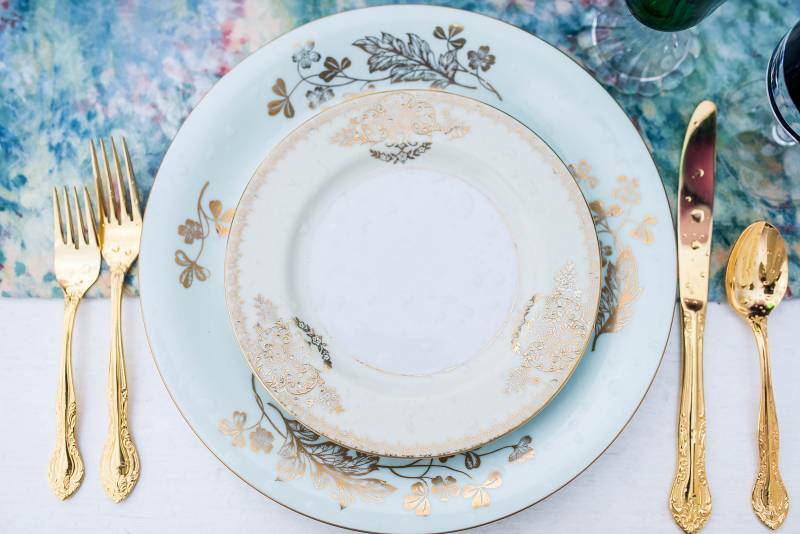 The vintage details from Rent My Dust looked amazing next to our gorgeous bride. 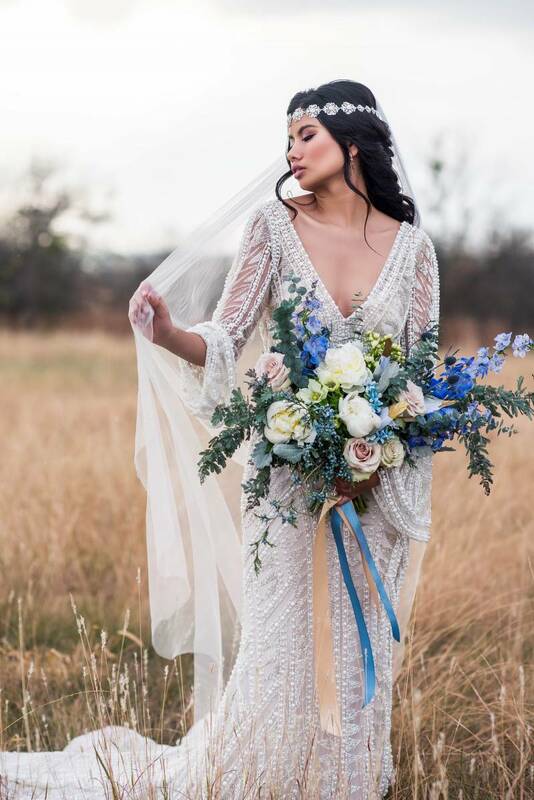 The timeless beaded gown featured in this set, from the Bridal Boutique of Lewisville, was absolutely breathtaking. It has a deep V-neck, bell sleeves and so much character. 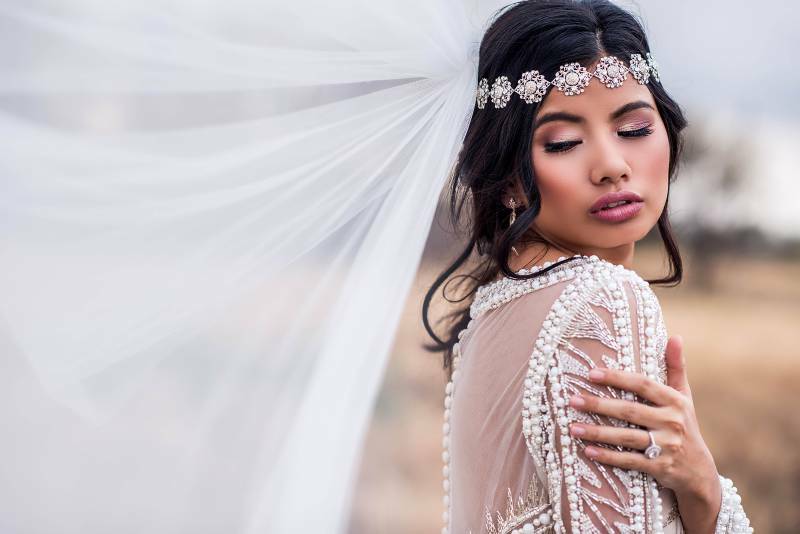 Our wonderful stylist also paired the dress with a studded halo headpiece, unique veil, and a white fur coat; which completely encompassed everything we were looking for in this styled shoot.